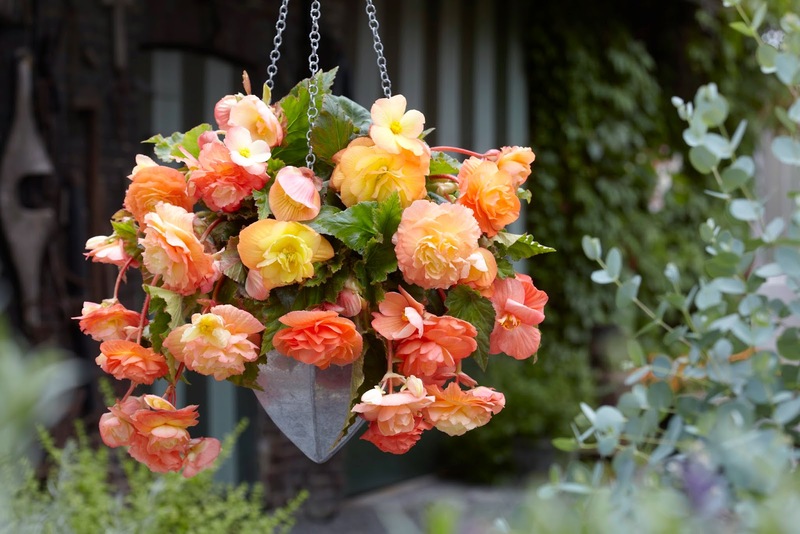 Longfield Gardens in New Jersey is the one of the country's top bulb importers and retailers, including 18 varieties of the Begonia tuber including these below. 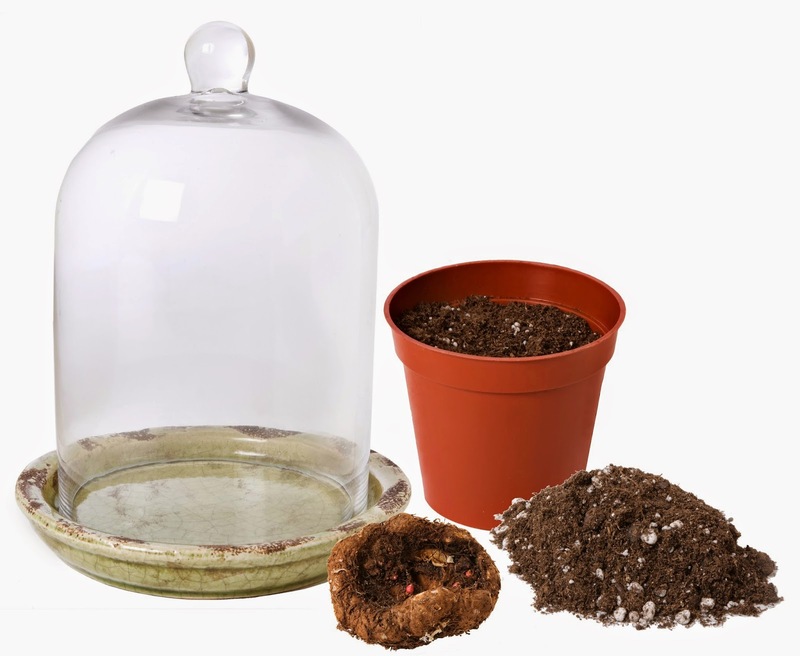 To encourage gardeners to get a jumpstart on spring planting, Longfield Gardens has assembled a gorgeous cloche kit for $30. It's perfect for Mother's Day or as a gift for your favorite boss, banker or friend. 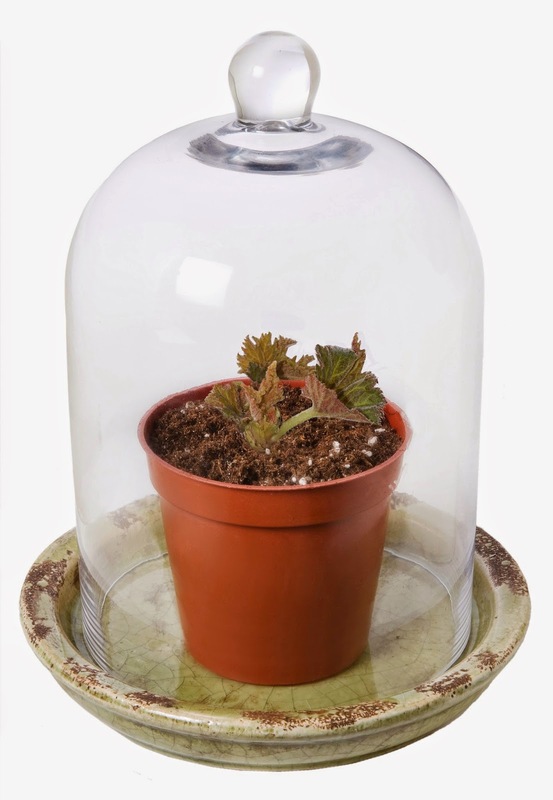 Everything you need is included: peat pot and soil, heavy glass cloche and rustic ceramic base, and one tuber (from your choice of 18 begonia varieties). 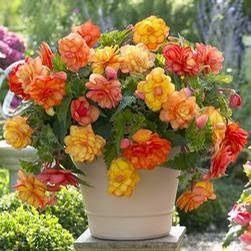 If you lightly water the tuber for five or six weeks, you should see the beginnings of the begonia emerge from the soil. It's then ready for transplanting outside once all chance of frost is gone. 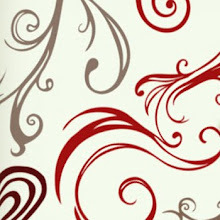 To order: visit Longfield-Gardens.com or 1-855-LF-Gardens. New customers receive 20 percent off their order with the posted promo code and free shipping with orders over $50. And now one of you gets to try this beautiful kit free. Here's how you enter. 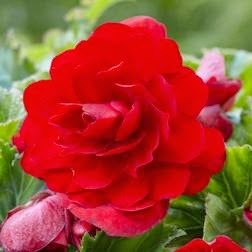 Click on the word "Comment" below and tell us what other tuber or bulb, beside a begonia, (click here) you would want to force under the cloche next season and why. 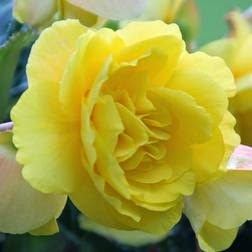 Longfield Gardens will choose its favorite response and send the lucky winner a begonia kit with a tuber of its choice. If you're having trouble commenting, try switching browsers, from Firefox to Safari, for example. Please check back here to see if you are the winner in order to receive your prize. Would like to do Dahlias! I love the colors! I love Peony Bunker Hill/Bowl of Beauty! So beautiful!! I would love to force Paperwhite narcissus because I love how they smell and perfume a room with their intoxicating scent. They are also lovely to look at and brighten up any room! I would like to try Canna Lilies. Any color. Orchid .my all time fave!!! I would like to try Hyacinths. I just love their smell. What a way to brighten up the house with those beautiful colors.. Bring on Summer! I would love to try Dahlias. My neighbor had some really big and bright ones last year and they were absolutely beautiful. I moved to a new house this year and would love to add those to my garden. I would like to try white freesia because they are the 7th wedding anniversary flower and I just celebrated mine. I also had freesia in my bridal bouquet so the smell brings back memories of that very special day. African violet .... my sis loved them ... they are so temperamental ... but beautiful !!! African violet. Never tried to grow them either, as well as the begonia. So pretty!! amaryllis because my husband is in love with them! Peonies of any kind or color! Probably Dahlias- they are so pretty! I would love to try dahlias to enjoy the vibrant colors! I have a fritillaria imperalis outdoors that will come up green each spring but will not flower. Perhaps it would if started indoors here in Michigan. Caladium also would get a nice start indoors. 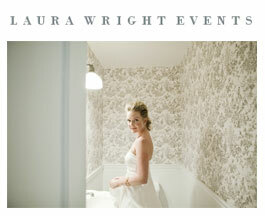 Love to peruse your site! I would be HAPPY to be able to win anything and thanks for the chance to win!! 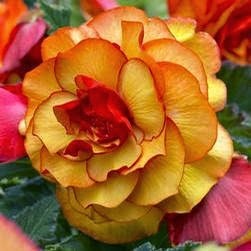 escargot begonias for foliage and flowers! I would want to try a calla lily. They are my favorite flower. I carried a bouquet of calla lilies in my wedding. I love the picasso calla lily, but they are all beautiful. The contest is now officially closed and Emma Fitzpatrick will be sending the Begonia Terrarium Kit, on behalf of Longfield Gardens, to a winner she has randomly picked among you fabulous contestants. While we always have contests here, there can only be one winner and this time, it's Jennifer Essad! Congratulations! Jennifer, please send me your email and mailing address and Emma will send you the prize. Thanks for entering, Jennifer. thank you so very much, I enjoy my house plants and gardening. quality glasses sequence, design and style features perfect the particular interpretation of the comfort, pattern and function of creative blend. man stylish costume and extraordinary performance. Oakley Oakley has enjoyed the particular world's top players favour, this time the upgraded EVZERO STRIDE Light Sport body zero all-weather super characteristics will not live up to expectations. As being a final can be used for different sports sunglasses, zero : all-weather large frameless design and style to minimize the glasses impact, perfectly fit the nose area and face, no matter what obstacle, can help the wearer to follow the best performance, bring a dazzling aura for every fashion movements. Take the light route HOLBROOK METAL Pioneer - ultra-thin metal is another style, is actually rectangular lens and stainless frame will be the perfect combination regarding life aesthetics and performance qualities. What is more, the sunglasses was a detail hundred-percent control, getting high purity materials supply 100% UV protection at the same time, the right show color change will be sensitive to the wearer, deliver incomparable vision to enjoy. is full of masculinity, not merely the material lightweight fashion, but in addition with four sets of numerous sizes of the nose, tremendously improving the comfort of wearing.